PF will carry the Day. Congrats PF. 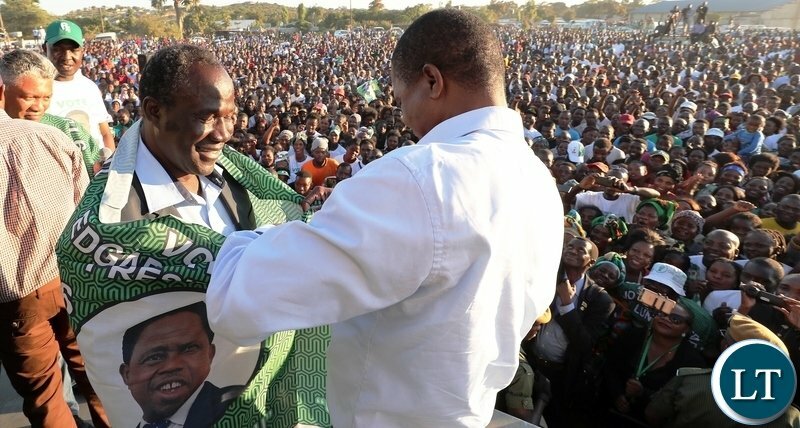 One more seat in chilanga and lusaka central are coming. Ok. PF has more hirelings so it will win. 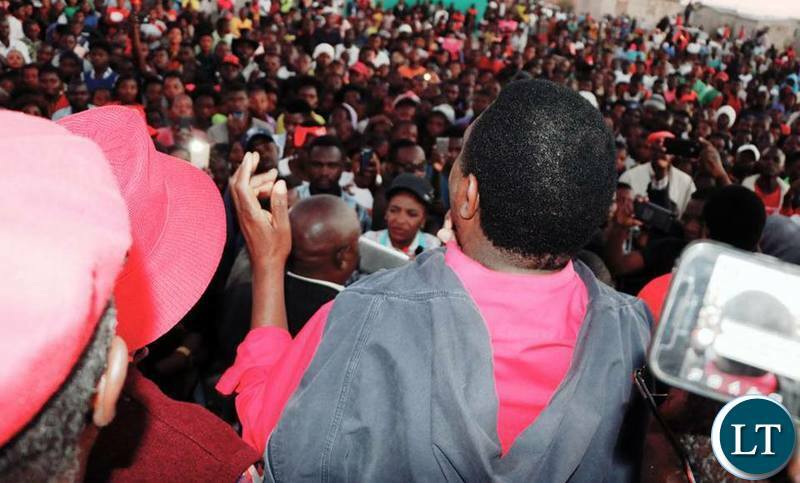 UPND are winning this just wait and see. I’ve assessed the situation and I still stand by my earlier prediction for better or worse UPND are winning this by election. 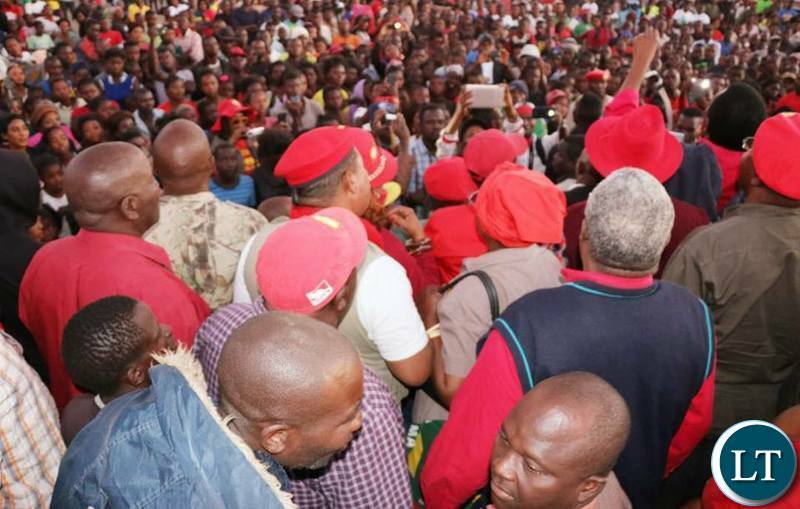 Fielding a prostitute as candidate cannot make upnd win. Sam you haven’t insulted him enough. And may the losing candidate accept the result. My Tonga cousins are smart and enterprising. They will not vote for a home wrecker. 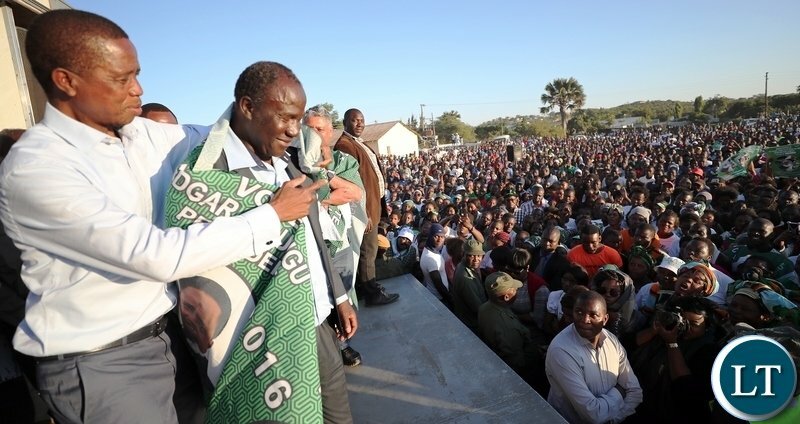 They will teach UPND a lesson in Chilanga. Peepe! Meebo colour ya red peepe!! 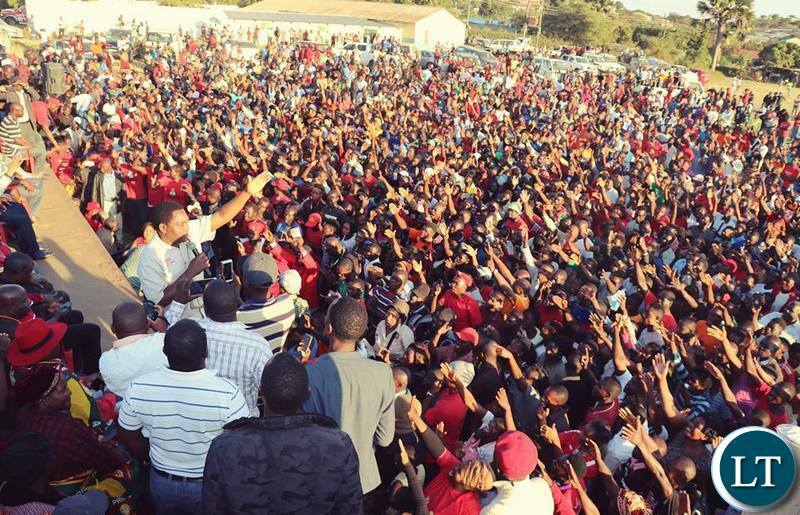 I thought the upnd rally looks smaller and full of imported cadres. 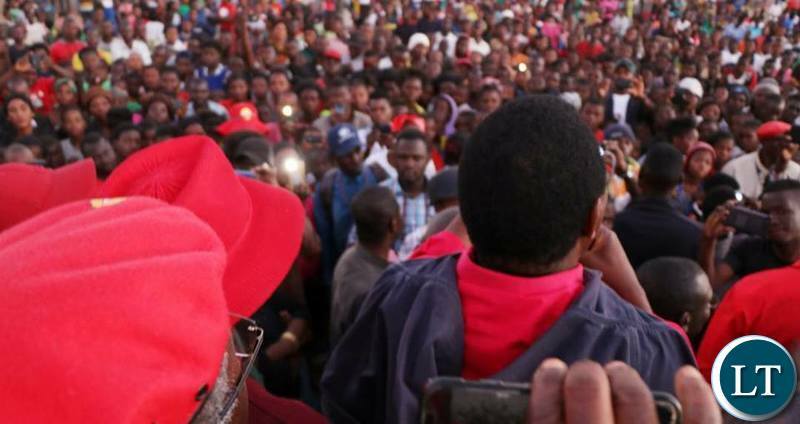 That red colour for basankwa reminds me of the blood of that slain guard. Must be worse for the concubine who saw it live. I would not be surprised if the concubine developed a mental disorder soon, murder is not such a simple thing to live with, it is traumaticbeven if you are just an accomplice and did not pull the trigger yourself. Concubine required counselling and not what Musankwa h.h has done to her, he is heartless because she is a dispensable and disposable bemba? #9 Its political, I can consider that too. 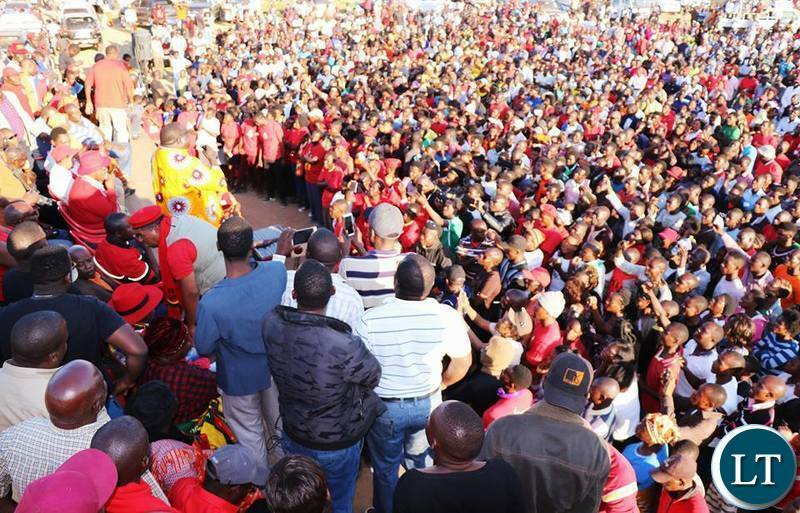 People don’t go to rallies to vote just like bloggers just sabaila. Zambians just have chimpwena. I was involved in an accident in an altezza few years ago. Since there were no injuries and people didn’t realise I was in the car. I was astounded by the suggestions by people of what had happened! Simple truth I was sitting waiting for a friend when a drunk sleeping in a light truck accidentally released the hand brake and the truck rolled down hill into my car. Simple. No theories suggested were close to the truth. I quietly approached the owner who took responsibility because the drunk was his relative. He repaired my vehicle. EXPERIENCE IN THE LAST FEW YEARS HAS TAUGHT US THAT CROWDS ESPECIALLY ON SOCIAL MEDIA CAN BE QUITE MISLEADING, EITHER WAY. 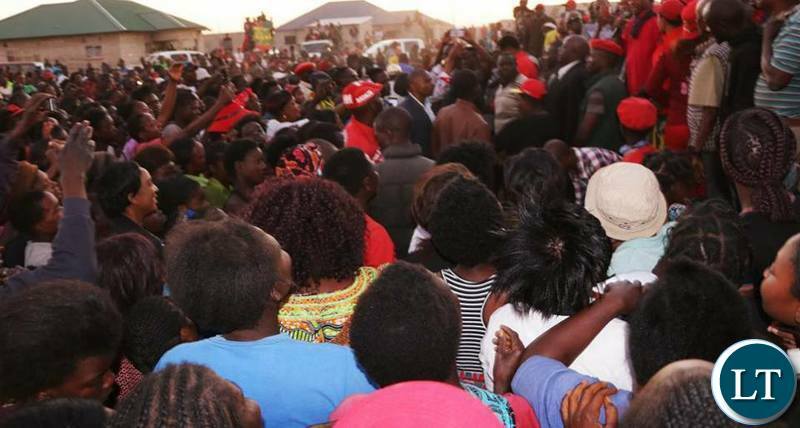 I THINK CHILANGA IS DOMINATED BY TONGAS, THEREFORE UPND WILL MAINTAIN THEIR OWN SEAT. PF SHOULD JUST LOOK AT NARROWING THE MARGIN. IT IS GOING TO BE NARROW. 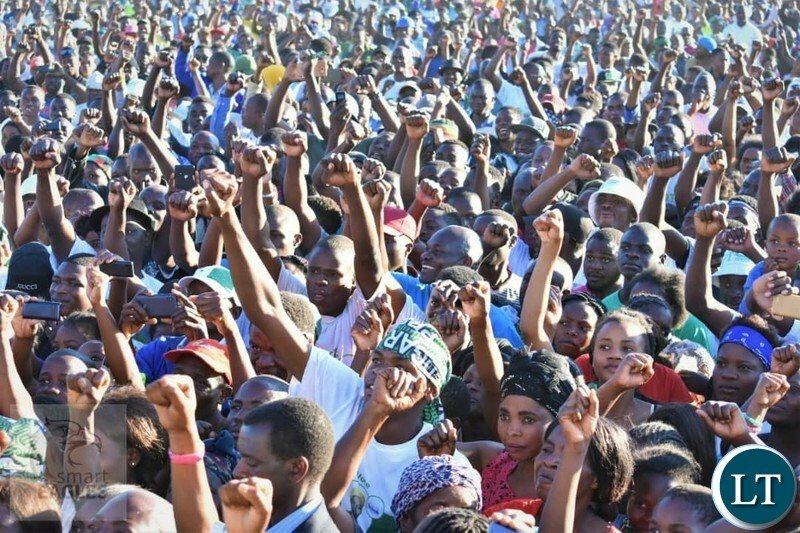 IN 2016, AT PRESIDENTIAL LEVEL, UPND WON WITH 15,069 WHILE PF GOT 11,535. AND THE NUMBER OF REGISTERED VOTERS STILL STANDS AT 49,614. YOU CAN DO THE MATHEMATICS. Blind people are busy counting which camp has more crowd while missing to see elephant in those camps. Do you have any idea why constain chilala is in the camp of pf? Watch this man. 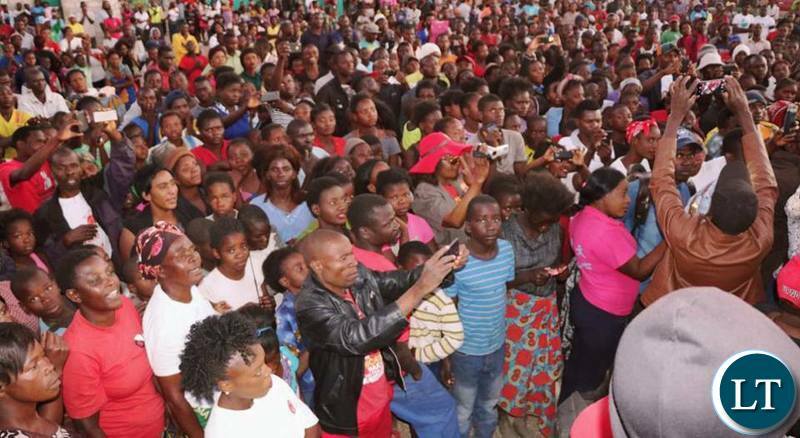 UPND is completely gone bane, Chilanga belongs to a serious party with serious leadership and and candidate to bring development. Its PF thats winning no doubt. Numbers do not lie!! 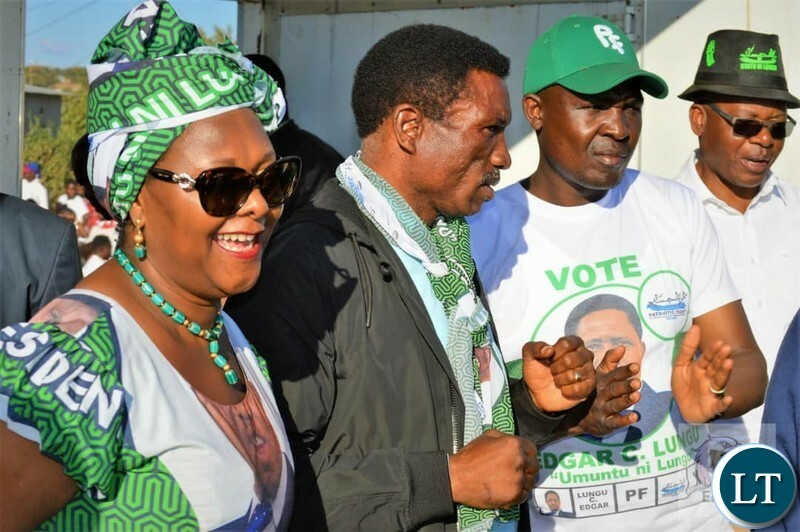 PF has very high chances of grabbing Chilanga from UPND today! 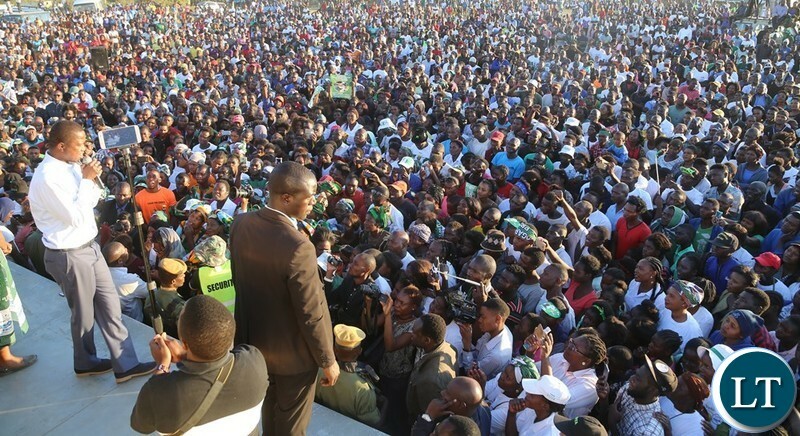 !pictures above clearly show that the PF last rally was much bigger than UPND’s! 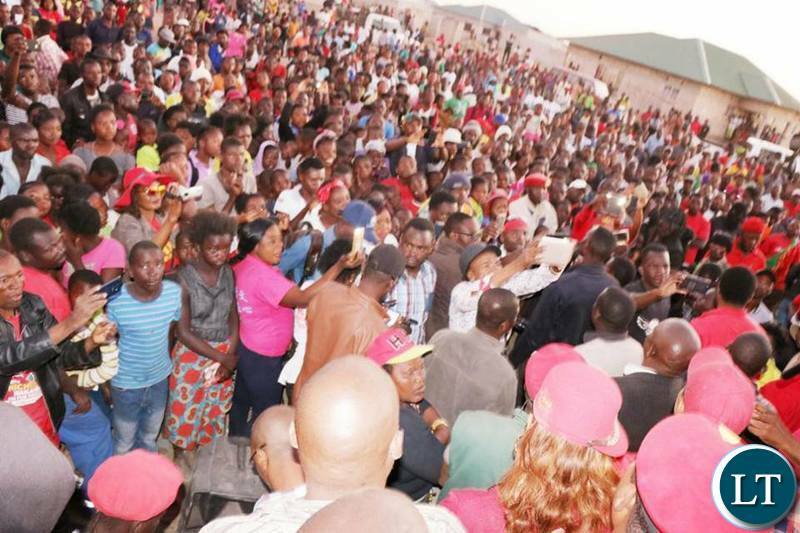 !But the fact remains that UPND adopted a wrong candidate, a thing which will cost them dearly in Chilanga!!! EXPECT 6-1 OR 7-0 SCORELINE IN FAVOUR OF PF TOMORROW!!! 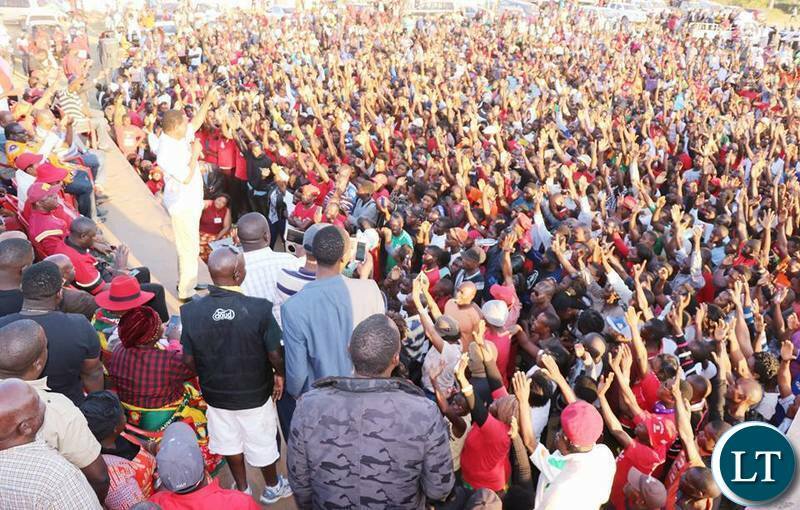 Thanks but no thanks for these captionless photos by LT. Who, when, where details are critical for your leaders to appreciate what has been captured. 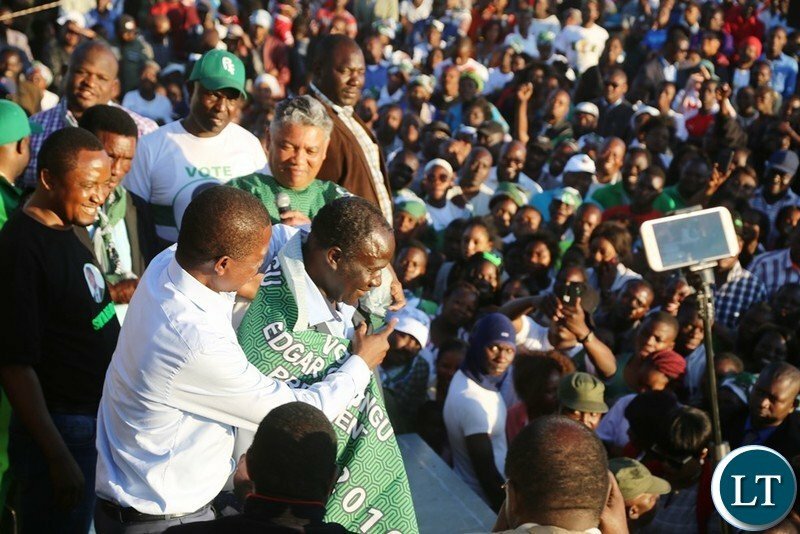 And when is the Chilanga By-election? 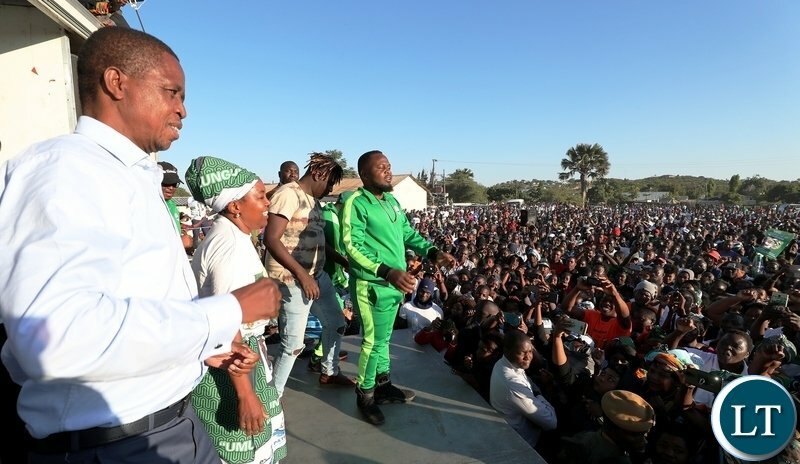 People of Chilanga need to Vote for anyone but Charmaine. For the sake of sanity and our future young ladies morals. GREEN for agrarian prosperity and peace. RED for civil strife and bloodshed. The party of fires and arson is in red. 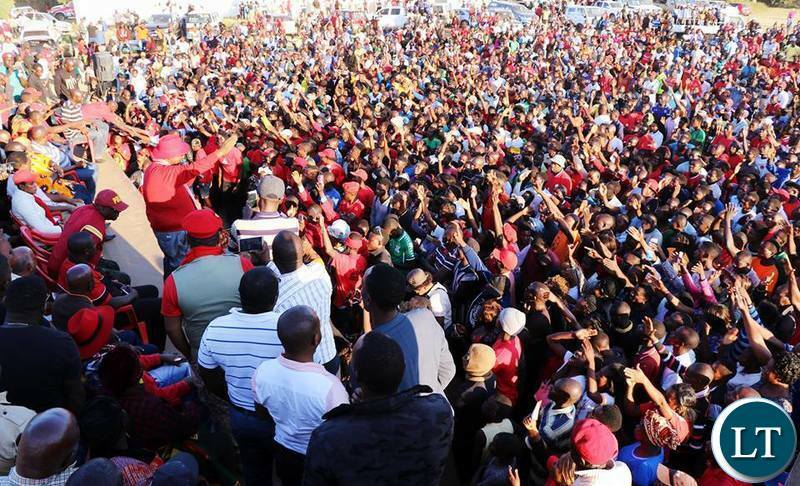 So many people turn up for rallies but there are only 8,000 voters? Fintinya fye?